RdA DiveNet is an eDive Center promoting care and appreciation of the underwater world through responsible and safe scuba diving activities. RdA DiveNet caters to all divers (and wannabes) by providing opportunities to learn, advance in and enjoy scuba diving. While most members of RdA DiveNet hail from Riyadh and AlKhobar, Saudi Arabia, our growing network of divers are able to arrange dive trips and excursions in the Arabian Gulf, the Red Sea- Saudi Arabia, Philippines, Indonesia and the Maldives. Likewise, RdA DiveNet assists all divers, no matter what certification levels they have, in the selection, rental and or purchase of diving gears, equipment, or apparels. We also provide information to people who are interested to try scuba diving and offer them a Discover Scuba Diving adventure. So, if you are a diver wannabe or a newbie in diving, or a certified diver who wants to move ahead or a professional diver who fancy diving with new friends/ buddies, you are welcome to learn and dive with RdA DiveNet! ​ To enter the Emergency First Response Instructor course, you must be 18 years old and have completed CPR and first aid training in the past 24 months or a be a practicing medical professional such as a physician, Emergency Medical Technician, Paramedic or Registered Nurse. Are you ready to take the challenge.. Contact Us. RDA - Dive Whenever U' Ready. Dive Escapade - 9.11.2015Explore the Red Sea with us. 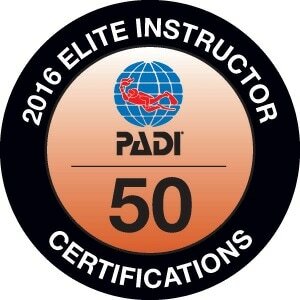 Learn and dive with RDA DiveNet.Please visit our website at www.rdadivenet.com.